The first time that Zinedine Zidane saw Marco Asensio play, he knew that the youngster was a special player, and the Frenchman has now compared the 20-year-old’s left foot to Lionel Messi’s. Regularly in dialogue after training sessions, the coach approached the player after one in particular, just for a general football discussion. It was then that the comparison with Barcelona’s No.10 was made and it’s true that the player felt that tingling sensation one gets when receiving praise from a person you admire and appreciate. Ever since Zidane laid eyes on the player during the first few days of the campaign, he knew that his future had to be with Real Madrid. First he renewed Asensio’s contract and later wanted to ensure he wouldn’t go out on loan. Although he doesn’t play as much as he would like, Asensio knows that his coach counts on him because of the talks they have most days and it’s important to Zidane to make the player feel secure and wanted at this point because he is the future of the club. It must not be forgotten either that he is the youngest member of the playing staff. 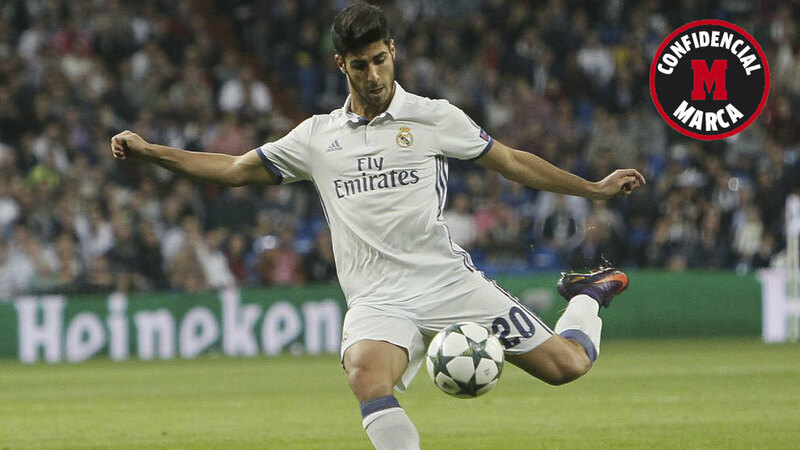 The communion between both is total and absolute and Asensio is very happy with how his first season is going. On Sunday, he may even have the opportunity to score in the fourth competition in which he debuts as a Real Madrid player in 2016/17.